Though the original eight Potter films were of course based on her novels, this is the first in the series directly scripted by Rowling herself, and her voice is apparent from the first moment onwards (and not only because the story’s backdrop involves a piece of lore from the novels that was mostly ignored in the film adaptations). 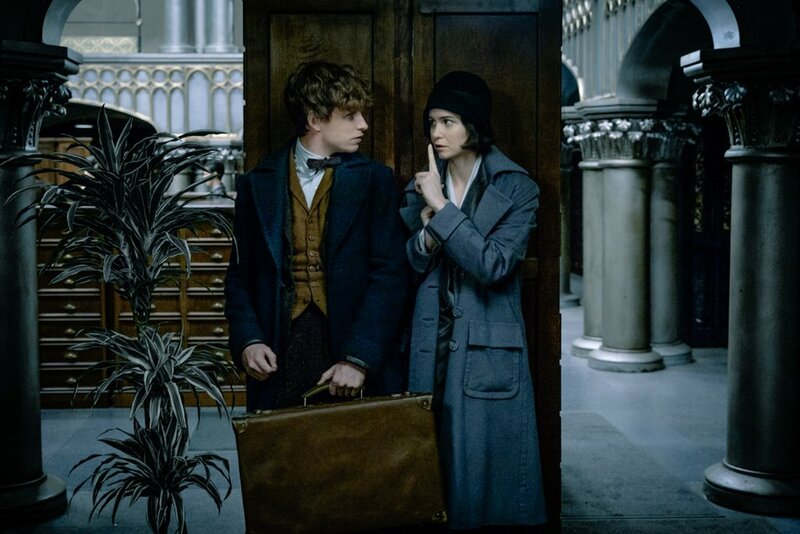 Her sense of humor has survived the transition to screenwriting intact, and Fantastic Beasts is easily the funniest, most playful Potter movie this side of Half-Blood Prince, its comedy stemming organically from the characters and their interactions, with small details and character flourishes often garnering the biggest, warmest laughs. The story shifts gears into fairly dark material more than once – with one scene in particular standing out as one of the most traumatic ideas Rowling has ever crafted – but as in the early Potter novels, Rowling is good at controlling tone in order to keep a sense of wonder at the heart of the experience. If it sounds like I’m being intentionally vague, that’s because I am – while I don’t think there’s any part of the story in particular that would be adversely affected by spoilers, the narrative is such a joy to watch unfold that I wouldn’t wish to rob anyone of the experience of discovery. Suffice it to say, even though Rowling has crafted a much smaller, more intimate story than any of the previous Potter chapters, she had told it with the same sense of intricacy, introducing a seemingly overwhelming number of characters and narrative elements, only to quickly start tying everything together once all the pieces are in place. Like each of the early Potter novels, this one is a bit of a mystery, and while I have some problems with how the climax is resolved – it feels thematically false and ties in a twist for which I have no immediate fondness – Rowling is consistently skilled at making sure her story, characters, and ideas all move in lockstep with one another, and Fantastic Beasts is no exception. That she manages to tell a solid, involving story while also introducing us to so many fresh faces, fantastic creatures, and wondrous sights is a balancing act worthy of the Potter legacy. The characters are, indeed, the heart of this story, and Rowling has no trouble at all crafting new protagonists to inhabit her world. It certainly helps that, as with the original Potter films, director David Yates has assembled a second-to-none cast to bring them all to life. Newt Scamander is a lovely creation, a big-hearted introvert who endearingly stumbles his way into heroism, and Eddie Redmayne only enhances the foundations of what Rowling has offered, his performance a bag of tics with an aching amount of nuance and soul underneath. The character is one of the most immediately lovable protagonists to grace the screen in years, and the circle of unlikely friends he gathers in New York is just as rich. Katherine Waterston, who roared into the mainstream with her outstanding work in Inherent Vice, gives exactly as great a performance as you’d expect as Tina Goldstein, a down-on-her-luck Auror whose arc is, in many ways, the heart of the film. Alison Sudol, unknown to me until now, is delightful as Tina’s cheery sister Queenie, but it’s Dan Fogler who runs away with the film, playing an unsuspecting muggle drawn into Newt’s hijinks, and who immediately impresses himself on everyone in his orbit. Fogler’s character is perhaps the most archetypal of the lot, but Rowling’s writing and Fogler’s heartwarming performance elevate him above convention. The rest of the cast is just as stacked with acting talent as one would expect of a Potter film, with appearances by Colin Farrell, Ezra Miller, Samantha Morton, Ron Perlman, and even Jon Voight (whose screen-time is so negligible one wonders why an actor of his stature had to play the part). The performances are solid across the board, even if the majority of Rowling’s efforts are devoted to her central heroes, and I like how resolutely Rowling refuses to follow any kind of template carried over from the original Potter stories. While Albus Dumbledore is name-checked, nobody from the original films appears here, and there’s no attempt to merely replace central characters from before with similar counterparts. That the characters here are all grown adults is a significant difference in and of itself, and one that allows Rowling to tackle her favorite themes of outsider anxiety and social injustice from a subtly different vantage point. Unlike Harry, Newt is mature and confident in who he wants to be, even if the man he has become is someone understandably wary of those around him. It’s a character type that fits the new setting Rowling has chosen, as a bustling 1920s New York allows her to reframe the wizard/muggle interactions that defined so much of the original stories. It goes without saying that Rowling has never been particularly subtle with her allegories – the deeds of Lord Voldemort and his supporters look especially prescient given America’s current predicament – and that continues here, as Fantastic Beasts continues to explore ‘other-ism’ through a fantasy lens. In contrast to earlier Potter stories, though, this tale is told more clearly from the perspective of those who have been ‘other-ed,’ and if this single film can’t match the cumulative weight of seven Harry Potter novels, it hits some extremely effective emotional notes along the way. But the film is, first and foremost, fun, and that has a great deal to do with how passionately directed David Yates and his team throw themselves back into this world. 1920s New York is an outstanding choice of setting in terms of aesthetic possibilities, and production designer Stuart Craig runs with the opportunity, crafting another wonderfully weathered and lived-in fantasy setting that looks entirely of a piece with the earlier Potter films while also clearly distinguishing itself as the product of another time and place. 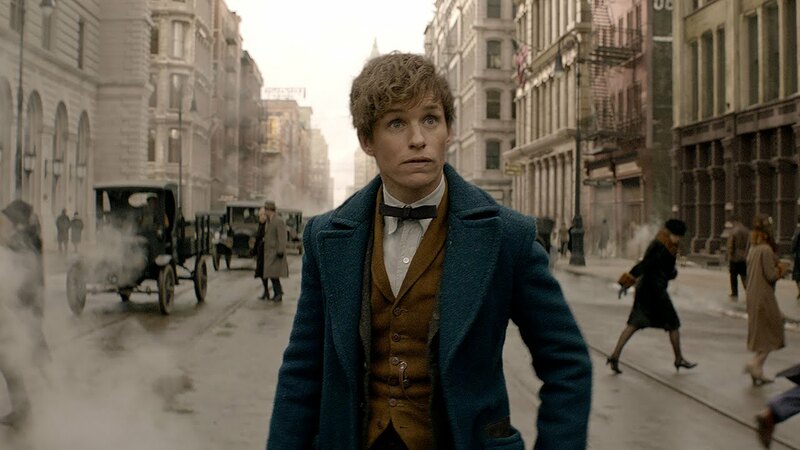 And the film consistently makes good on its title, as Newt brings along with him a wide host of magical creatures – some new, some making their long-awaited film appearance after many references in Rowling’s original book – and while not every design is a home run, the ones that are will delight and astound. Fantastic Beasts is far more reliant on CGI-effects than any previous Potter film, and while you can feel the VFX team getting stretched a little thin here and there, it is remarkable how much personality the filmmakers are able to imbue into these creatures. The set-pieces revolving around the eponymous beasts are consistent highlights, and overall, it is clear that Yates has a unique ability to make Rowling’s ideas soar on screen. Fantastic Beasts isn’t nearly as aesthetically adventurous as Yates’ last few Potter films, but it is still a beautifully mounted production, and there is at least one effect here – a visual design relating to an antagonistic force in the film – that is every bit the equal of any visual achievement from the original series. Warner Bros., Rowling, Yates, and others involved with the film have gone back-and-forth in the press about how many films they’re planning, which scripts have been written, who has been cast for future installments, etc. 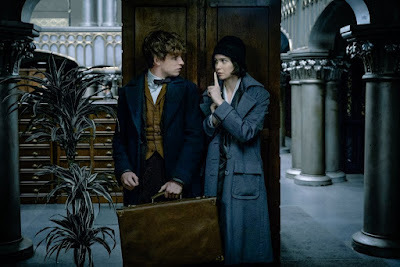 It can come across as excessively franchise-minded hubris – a problem WB has been running into a lot since Potter initially ended – but I am happy to report none of those fundamentally business-oriented conversations have seeped too far into Fantastic Beasts itself. There are hooks for future installment on display here, to be sure, but this is first and foremost its own story with its own characters and its own beginning, middle, and end. I never felt the film was getting in the way of itself to lay track for future stories, and even the one big sequel hook exists simultaneously as a resolution to the story being told here. The film works as its own standalone experience, and if I am reading Rowling’s intentions right based on where this entry leaves things, it feels like future installments will follow more of an anthology model – with Newt Scamander visiting new places, meeting new characters, and getting involved in new conflicts – rather than carrying over baggage from prior films. And if that’s the case, Warner can frankly milk this thing for as long as they want. Above all else, Fantastic Beasts is proof that there is more to discover in Rowling’s magical world, and she has crafted a new protagonist more than worthy to serve as a guide to more corners of this universe. If she’s up for more, and if filmmakers as talented as David Yates and company remain on board to help bring that vision to the screen, then I’m all in. A new generation of Potter stories has gotten off to a wonderful start, and I could not be happier to be along for the ride. Stop after first paragraph. Says all I want to know.